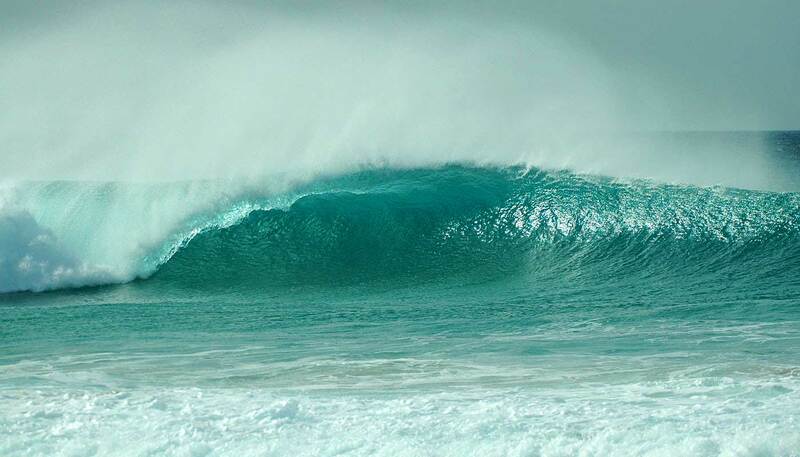 We speak about Surfing when you play on breaking waves, nearby a reef or the shore. And we speak about Downwind when you surf on the swell (far away from the shore). You would be impressed how you can surf easily even small waves with a Surfski or with an Outrigger Canoe. Do not forget that the hardest part is when you want to get out of the wave. Better stay on the shoulders of the waves. Consider that catching a wave with a paddle is easier, so please respect the other users from the surf spot and apply the basic rules: Surf Etiquette. If you think paddling against the elements (Wind, Waves & Currents) is too hard, you should try a Downwind Paddling. You start from a place, for Surfing the swell, connect the Bumps and you leave the Ocean on another place. Just enjoy. 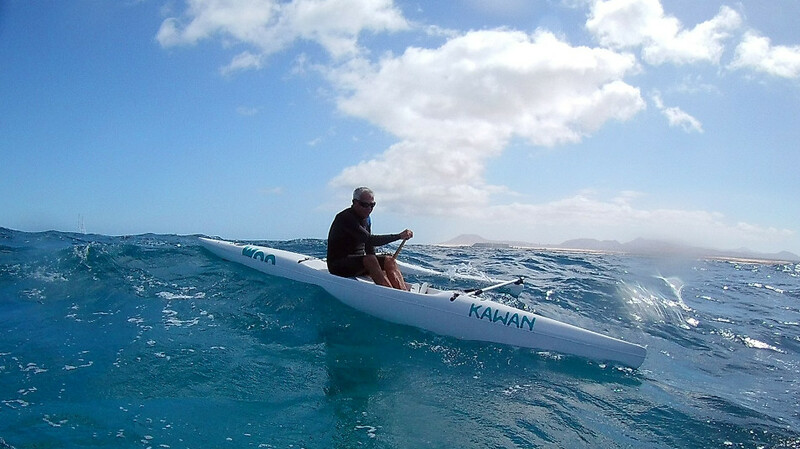 "Going with the Flow" on a Surfski or on an Outrigger Canoe is a wonderful feeling. We will teach you how to "read the water", for choosing the best path, how to paddle and how to behave …. The target is going fast paddling as less as possible. What a marvelous opportunity to combine Holidays & Water Sports! 1 week of DW Camp with Surfski or Outrigger Canoe with your family. Differents Downwind tracks with less than 1 hour car transfer. We will choose the best circuit considering the weather, the boat, your experience and how you feel. Please consider that there are some places with local thermical effects which can create conditions that you can not find into this board. In case of we do not have the right conditions (too strong or not strong enough) for a safety and good Downwind Run, we have many cool options: Lobos island Tour (Paddling around Lobos island, walking and discovering the beauty of the island which is a Natural Park, climb on the mountain, light house, have a lunch at the stunning tiny port… all the family can join us by using a motor boat to go to Lobos island). We can also organize with our partners a SUP or Surf experience - with a Surf Board - a Sailing experience, a Bike tour, a Fishing cruise, etc….